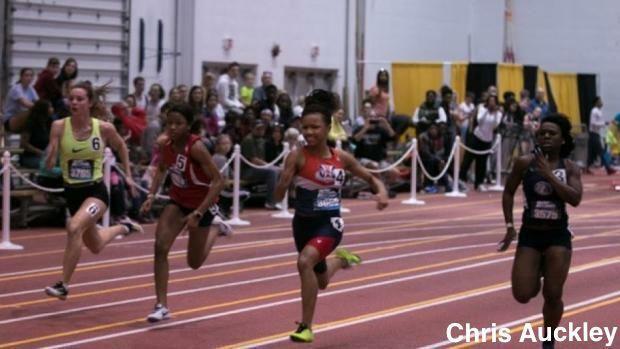 Check out the top 50 freshmen girls national indoor rankings as of February 23rd. Alicia Burnett of Ft. Zumwalt South (MO) won the Big River Running Indoor Championships 60 meter dash this past weekend at the University of Missouri with a 7.43 clocking, which ranks her #1 among freshmen in the nation and #9 overall regardless of grade. Burnett was a double winner taking the 200 meter dash in a time of 24.50, which also ranks her #1 among all ninth graders in the country and just outside of the US top 20 overall.